There's some great news from Mattel for parents who like to live vicariously through their kids and long ago had to trade their sports car dreams for a practical, spacious minivan. 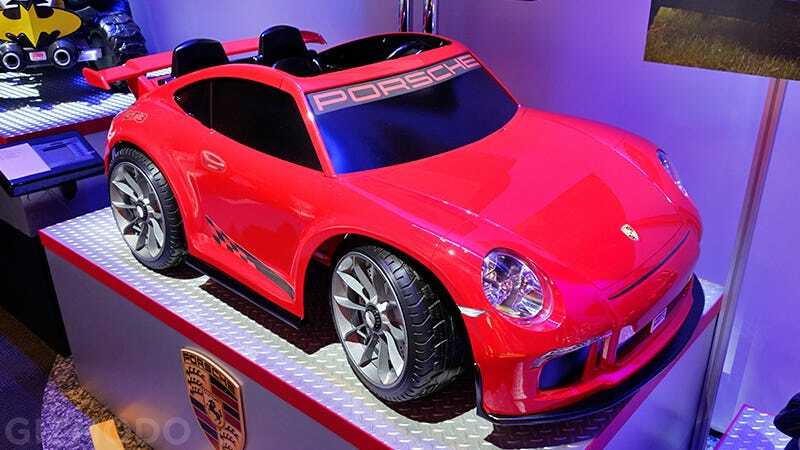 It's been almost a quarter century since Power Wheels offered a Porsche option, but come October kids aged three and older will be able to get behind the wheel of this 911 GT3. At $360 it's certainly one of the more expensive presents you can stick under the tree next Christmas, but Mattel has made sure your child will at least get a few years of playtime out of it because it adjusts to accommodate a growing kid. The seats slide back so longer legs can fit under the faux dashboard, and faster top speeds can be unlocked as kids get more experienced driving it.